Bystronic glass has chosen Lino 3D layout for its 3D layout planning and Tacton Design Automation for rules-based configuration. Configuration specialist Lino GmbH has accelerates design and layout processes, minimizes error sources, cuts project planning times for machine production lines in half and creates convincing customer presentations. For over 50 years, Bystronic glass has been developing machinery and plant equipment for manufacturing and working glass. Bystronic glass has already been using the 3D CAD solution Solidworks® for some time now to design machines and components. Previously, designers used the 2D CAD software ME10 to lay out overall production systems consisting of linked modules. Yet Bystronic glass designs not only individual machines, but also the layout of complete plants consisting of linked modules. One key task of layout planning is to match the complex flows of a machine installation to the conditions of existing plants. With the old applications, it was simply impossible for Sales to present layout changes to end customers with a short turnaround. They lacked an automated variant configuration functionality that could manage all components and their capabilities and make them readily available – ideally right on site! Since the rollout, we’ve generated 100% more layout plans than before, and thus doubled our order chances. In researching the market, Bystronic glass came across Lino GmbH, the vendor of leading-edge software solutions and consulting services for design automation, product configuration, system configuration, 3D CAD and 3D visualization. Its combination of Tacton Design Automation for automated variant configuration and Lino 3D layout for rules-based layout planning was unique. “I couldn’t find any other vendor that offered such a powerful package. The direct integration in Solidworks was particularly attractive”, the project head explains. As seamless Solidworks add-ins, all solutions have unrestricted access to the data from the PDM – which offered enormous advantages: the designs are always up to date and correct. And conversely, the parameter set of a quotation can be used as a reliable basis for the subsequent design. ILLIG Maschinenbau GmbH now benefits from more variability in manufacturing with simultaneous accelerated tool design. Lino integrated a combination of a uniform CAD system for tool and machine construction and the configuration software Tacton Design Automation at the Heilbronn thermoforming pioneer. Gerhard Schubert GmbH now uses a combination of Lino® 3D layout and Tacton Design Automation to configure its complex packaging lines. 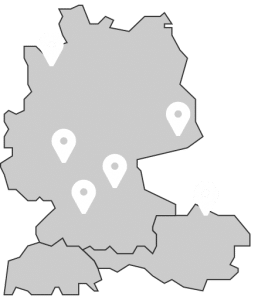 This enables the Swabian packaging specialists to present their customers with optimized layouts in a much shorter time and to implement them error-free on site. Would you like to contact Lino? Do you have any questions about our portfolio or would you like an individual consultation? Please use the form below to contact us. We will subsequently contact you as soon as possible and send you the requested information. The Lino team and Tacton Design Automation accelerate sales processes by configuring plant components at BMA Braunschweigische Maschinenbauanstalt AG. We support enterprises in the machine tool and plant equipment industry with premium consulting for end-to-end automation of business processes, as well as corresponding software solutions for design and sales automation, system configuration, VR/AR and web 3D visualization.